My husband and I are in our 30s and have two young children. We want to have a strong plan in place for retirement so we can retire comfortably when we’re older, but we aren’t sure how to invest, how much we should be saving or for that matter how much we can afford to save while still providing for our family. What do we need to do to get started? You’re already off to a good start in that you’re at least aware you need to have an actual plan in place if you want a shot at a comfortable retirement. Too many people approach the whole retirement planning thing haphazardly, throwing whatever money they think they can spare at the moment into whatever investments happen to be popular at the time with no sense of an overall strategy. Small wonder that recent research shows that far too many people simply don’t have a very accurate sense of whether they’re actually on track to a secure post-career life. Fortunately, it’s not all that difficult to put together a simple-but-effective plan that can place you on the path toward a successful retirement and, just as important, help you periodically assess whether you’re making sufficient progress toward that goal. 1. Set a realistic annual savings target—and try to raise it over time. It’s impossible to know exactly how much you need to save each year to ensure you’ll have a nest egg large enough to support you throughout a retirement that can last 30 or more years. There are just too many unknowns (how the financial markets will perform, how much income you’ll actually need in retirement, how long you’ll live) for such precision. Generally, though, many financial advisers recommend setting aside a minimum of 10% of pay in retirement accounts each year and preferably shooting for 15%, which is the figure cited for a typical household in a Boston College Center For Retirement Research study titled “How Much Should People Save?” Those percentages may seem daunting if you’re not used to saving regularly. But remember, to the extent you save for retirement through a 401(k) or workplace plan, your employer may kick in matching funds that also count toward your savings goal. Of course, setting a reasonable savings target and hitting it can be two different things. As a family with two young kids, you and your husband no doubt already have plenty of competing financial demands on your income even before factoring savings into the equation. So how can you meet your regular expenses while also saving for retirement? Basically, you do the best you can. Start by saving a percentage of your salary you think you can manage—whether it’s 5%, 8%, 10% or whatever—and then work on increasing that amount gradually, say, by one percentage point a year. This strategy of starting small and boosting your savings rate year by year can dramatically increase the eventual size of your retirement accounts. The most important thing, though, is to start saving some amount now, as the sooner you begin stashing money away, the more time it will have to compound and grow, and the bigger the nest egg you’ll have to help fund your retirement. 2. Keep your retirement investments—and your investing strategy— simple. One of the biggest mistakes people make when investing their retirement savings is trying to do too much. They scan the performance charts in hopes of identifying hot investments that will continue to generate outsize gains. Or they snap up every new mutual fund, ETF and “alt” investment Wall Street churns out, figuring that the more investments they own, the better diversified their portfolio will be and the better it will perform. Unfortunately, this approach can backfire, as today’s top performers may be tomorrow’s laggards and the more you expand your investment options beyond an essential core, the greater the risk you’ll end up with an unwieldy jumble of overlapping holdings that’s difficult to manage. All of which is to say you’re better off keeping it simple. Start by setting a target mix of stocks and bonds that jibes with your needs and risk tolerance. The younger you are, the more you’ll probably want to tilt your mix toward stocks, as more equity exposure should generate higher returns over the long run. So a couple your age will likely want to invest 70% or more of its assets in a diversified portfolio of stock funds and the rest in bond funds. But you can more accurately gauge how to divvy up your retirement portfolio between stock and bond funds by checking out Vanguard’s asset allocation-risk tolerance tool. As for which stock and bonds you should own, ideally you want investments that give you exposure to a wide swath of the stock and bond markets. That means funds that invest in both large and small and growth and value shares in the case of stocks and both government and high-quality corporate issues in the case of bonds. While I wouldn’t say it’s an absolute necessity, it’s also a good idea to include international stocks, and possibly international bonds, in the mix. The simplest—and cheapest—way to do this is to build a portfolio of broadly diversified stock and bond index funds. If you’re investing through a 401(k) or similar plan that doesn’t offer such funds, you can try to emulate that broad exposure by putting together a group of actively managed stock and bond funds that provide similar exposure to the broad stock and bond markets. But if the whole idea of investing your retirement funds makes your brain freeze and your eyes glaze over, you can go with an option like a target-date retirement fund or managed account—or, for that matter, seek help from an adviser. Your aim, though, is to assemble at a portfolio of funds that will give you exposure to the stock and bond markets at a reasonable cost and allow you to grow the value of your retirement savings throughout your career. Once you have that portfolio, you largely want to stick with it regardless of what’s going on in the financial markets, although you’ll likely need to rebalance every now and then to maintain your target stocks-bonds mix. 3. Monitor your progress—and stay flexible. Even the most meticulous retirement plan can’t predict the many twists, turns and pitfalls you may run into on the road to retirement: severe market setbacks that can put a major dent in your account balances, bouts of unemployment that may derail your savings regimen, financial reversals or health issues that might force you to dip into your savings, etc. Which is why want to periodically re-assess whether you’re making progress toward a secure retirement and, if necessary, make adjustments to your plan. 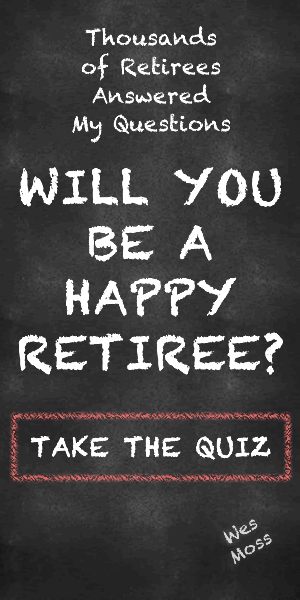 You can do that by going to a retirement calculator that uses Monte Carlo simulations to make its projections and entering such information as your age, income, current savings balance, the amount you’re saving each year and when you plan to retire. The tool will then estimate the probability that you’ll be able to retire on schedule with enough income from Social Security and your savings to support you the rest of your life if you continue with your current plan. If your chances of being able to retire on schedule with the income you’ll need are too low for comfort—say, a projected success rate of less than 70% to 80%—or if your chances have declined since the last time you went through this exercise, then you’ll probably want to re-run the analysis to see how much such tweaks such as saving more, investing differently or postponing retirement a few years can improve your prospects. Just to be clear: Such projections and estimates of your chances of success aren’t guarantees. No calculator or software, no matter how sophisticated, can predict the future, or know whether you’ll stick to your savings and investing regimen throughout your career. But creating a plan and checking ever so often to see whether you’re making progress toward a secure retirement is certainly better than winging it, which is to say having no plan at all.